L. Michael Peterson, age 65, of Erie, passed away on Wednesday August 29th 2018 at his home following an extended illness. He was born on January 23rd 1953 to the late Lewis and Naomi Peterson. Mike graduated from Fort LeBoeuf High School in 1970. 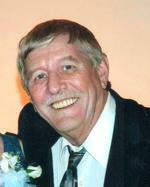 He was an installer at GTE for 14 years, and then established PBI Communications Inc. where he retired. He loved the outdoors, especially his hunting camp, where he enjoyed activities with his family and friends. He was an avid lifelong Pittsburgh sports fan. In addition to his parents, he was preceded in death by his father-in-law Richard Zimmer; brother-in-law Norman Gauch; sister-in-law Susan Rimpa; nephew Douglas Dahlstrand; and great niece Isla Hicks. Survivors include his wife of 42 years, Karen Peterson; his son Michael Peterson, of Columbus Ohio; his daughter Kristy (Ross) Ardillo, of Erie; and 3 grandsons, Noah, Tyler and Connor. Also, his sister, Susan Gauch; Mother-in-law June Zimmer; brother-in-law Frank Rimpa; sister-in-law Pamela (Jeff) Dahlstrand; brother-in-law Gregg Zimmer; and several nieces and nephews. In Accordance with Mike’s wishes, there will be no calling hours. Services are private and at the convenience of the family. To send flowers to the family of Lewis Michael Peterson, please visit our Heartfelt Sympathies Store.